Alex Craft, Grave Witch extraordinaire, makes her living solving murders by raising the deceased shade. Her latest case involves an apparent suicide that she was hired to investigate. It should have been an open and shut case, but when she questioned the shade it had no memory of the events leading up to its death, something that has never happened before. When several more suicides pop up with the same circumstances, Alex realizes that these deaths weren't suicides at all but murder. But getting to the bottom of this case may just put her in the crossroads and make her the killer's next target. I really enjoy the framework of this series in that using magic comes with consequences. Alex's vision issues after raising a shade are worse than ever, to the point where it won't be much longer until she becomes fully blind. It would have been so easy to have her new found fae powers to have been a magic fix for this, but that isn't the case and I really appreciated it. In fact there was another opportunity for an easy fix in Grave Memory where Alex was basically completely healed and renewed, yet her vision issues were left alone. I just hate when power comes too easy or there are no real consequences to using such power in books. I vastly prefer there to be responsibility and consequences for power, and this series definitely hits that mark. Alex's love life is even more complicated than ever, something I didn't think possible. Even though neither man was really a viable option for her due to the circumstances, Falin still seemed to be the more likely of the pair to stand a chance, even if I would have preferred Death to be the victor. Granted, the Winter Queen would be a major roadblock there as she refuses to relinquish her hold on him, but at least Falin doesn't disappear all the time like a certain collector. Even though Death may have said that he loves her, nothing between them could really be called a relationship as he is strictly forbidden from being with her. His constant disappearing combined with the secrecy makes things difficult to say the least, and honestly prior to reading this book, my hope for them together had really started to dwindle. After the events in Grave Memory I have a lot more faith in them, although it is a little ironic as they definitely aren't in any better of a situation than before. That being said, things did finally come to a head, and how they feel about each other is no longer in question. Although what that really means for them in the end still remains to be seen. 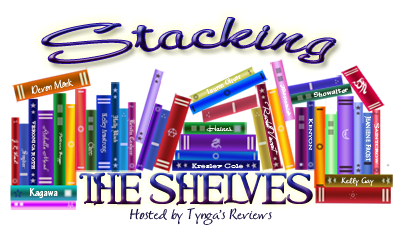 Considering the very large volume of books I go through per year (300+) it can be a little difficult to remember past events from a previous installment when I pick up a series' latest release. A lot of the time I have to go back and read the last chapter or so of that earlier book to refresh my memory as to what is going on and who everyone is. So, it is always a sign of a really good series when I don't have to do this refresher and can jump right in because things made enough of a lasting impact on me that I can remember what happened. The Alex Craft series is a perfect example of this as these books are so good that they really stand a step above the rest. Each installment is even better than the last, making of one heck of an entertaining series. 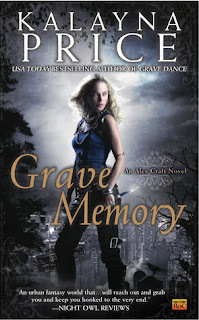 Grave Memory is an action packed roller coaster ride that will keep you enthralled from the very start. An absolute must read! Best I've Read So Far: We're half way through the year (crazy how time flies! ), which top 3 books are the best you've read so far this year?